Hi Everyone! Can y'all Help me out The game always Freezes when i Press f1 while using limnono any solution for this? I am playing a Markelle Fultz MyCareer on NBA 2K17 by using my old save and changing the cyberface of my MyPlayer. I am using the cyberface from Bluejaybrandon`s 2017 draft class mod. Now i want to add the new rookies from the 2017 draft class mod in MyCareer without making a new save, because I am already 89 overall in this save. Do someone know how to do it? I don`t want to create a new save. You can do that without Limnono's Trainer. Just use 2k17 explorer to extract the court that you want and rename it and place it in your modded folder. how can you show us step by step pls. I got a cyberface pack from another thread and I found a nice face and I'd put it on myplayer but I tried Dejounte Murray before and now Denver looking like Dejounte and Justice has the same face like me now, someone knows why? 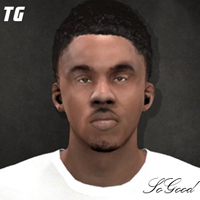 SeanCapone wrote: I got a cyberface pack from another thread and I found a nice face and I'd put it on myplayer but I tried Dejounte Murray before and now Denver looking like Dejounte and Justice has the same face like me now, someone knows why? That's because you didn't untick the Confirm Face ID button after you applied it, which is clearly pointed out to you in the tutorial. You'll have to restart your MyCareer now unless you had a backup. no need restart just assign another face using Limnono's trainer. TGsoGood wrote: no need restart just assign another face using Limnono's trainer. He will need to restart if every player is the same as him. It's weird if only two players got assigned the same face as him... if that's the case then it's a very straightforward fix. but i fixed it a lil bit, I just loaded my normal mp face saved it and then i added a cyberface again and unticked it after now just Denver has the face of Dejounte and Justice is normal. I dont care about Denver and now iam the only one with my face. blitzkriegbugz wrote: any of you guys know how to edit sock length? it seems like when you copy accessories from other players, it works on most of the accessories, except socks. still asking the same question. anyone guys? figured it out myself. it's on accessories data 3. it shares the same spot as the headband. Last edited by Holler3SG on Tue Aug 08, 2017 1:06 am, edited 1 time in total. Hi can someone tell me a version of Limnono's Modifier trainer that will work on update 12 to allow unlock animations to work, i have tried every version and it ether freezes on update 12 in the roster menu or it will not allow the unlock animation to show the animations menu in mycareer. I have tried the steps in the text tutorial both the new and old ones but the animations menu will not show up on update 12.
as I read in the trainer site you can put more than 2 tattoos on your player it has to do Zidingyi.txt which comes with trainer if anyone can figure it out please help @PeacemanNOT can you figure it out somehow ? You are welcome did you equipe custom shoes for away shoe too ? is it just for me...? Martin43 wrote: Hi Everyone! Can y'all Help me out The game always Freezes when i Press f1 while using limnono any solution for this? "tick the unblock option" what option is this ? Does someone have the December update of the trainer? There is a new version on his website since december 12. I tried to create a profile there, but failed with the captchas. Would appreciate any help in regard of the new version of the trainer. spartanflame wrote: Does someone have the December update of the trainer? There is a new version on his website since december 12. I tried to create a profile there, but failed with the captchas. If you figure this out, let me know. I didn't know this was still being updated for 2K17. Hi.., anyone knows the function of "mc court position" in limnono modifier - "custom option"? I guess it is for switching the court in myplayer. Can we use it offline?